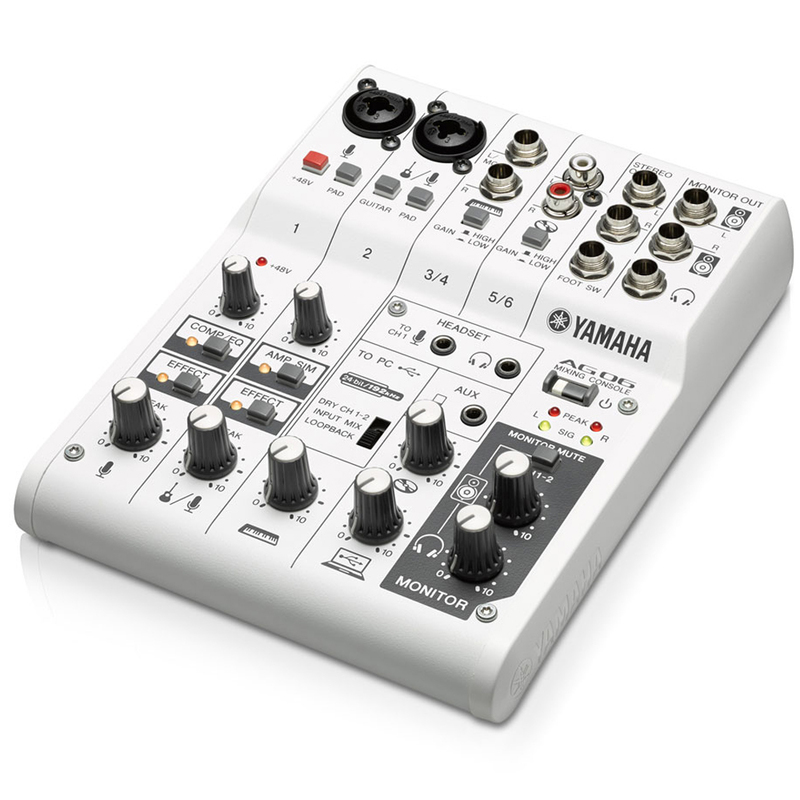 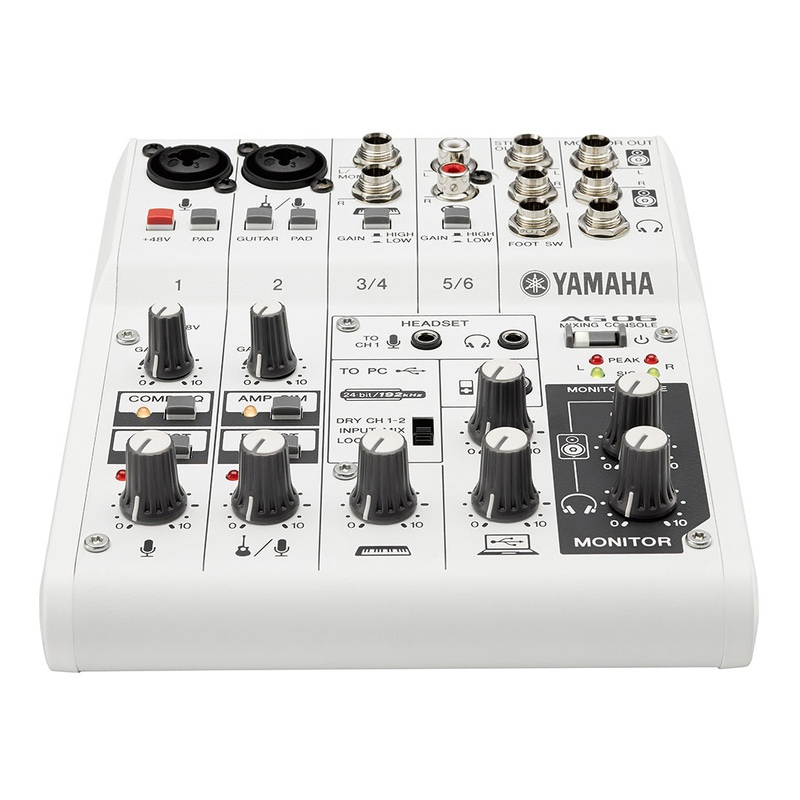 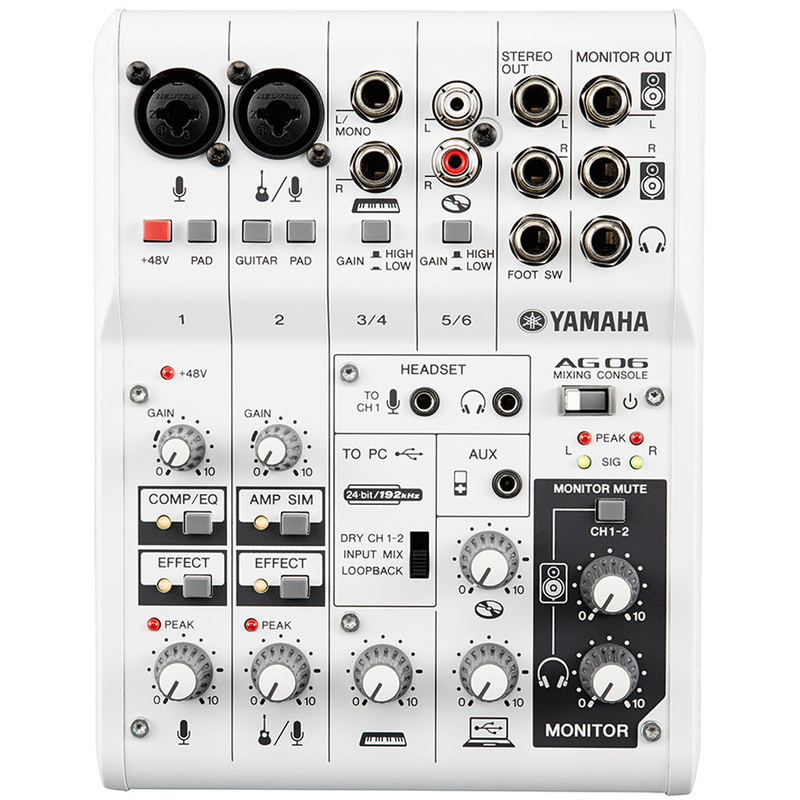 Combining mixing, DSP (digital effects) and audio interface technologies into one easy-to-use unit, the Yamaha AG06 is perfectly designed for podcasters, gamers and music producers - and it's Mac, Windows and iOS compatible. 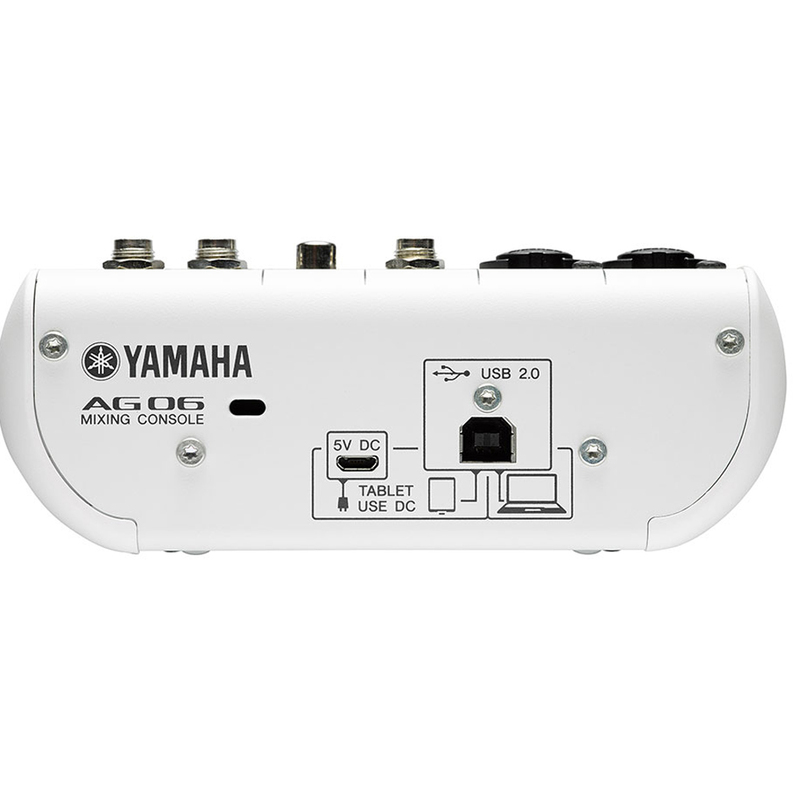 The AG06 features six channels: a main input optimised for vocals with a D-PRE studio-quality mic preamp, a second flexible channel for another mic or a guitar and two stereo inputs for keyboards or other line level sources. 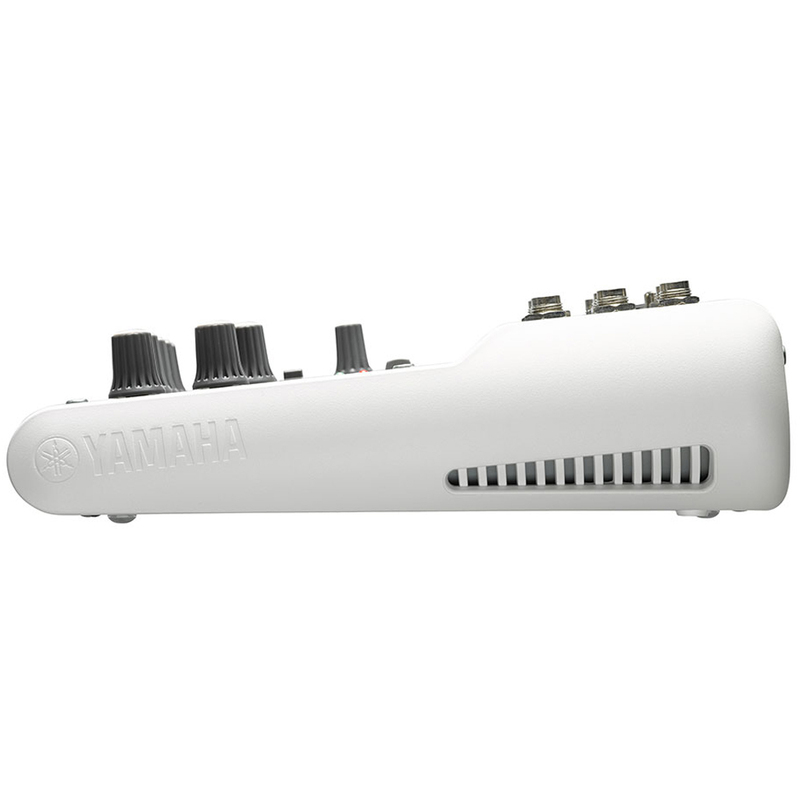 The flexible second channel features 1-TOUCH AMP SIM DSP for great guitar tone at the touch of a button.